So you're minding your own business, living your life, running your errands, when you start to notice that the people around you are a little more ... bitey ... than usual. Sure, you're prepared for the zombie outbreak in your home and perhaps even your office (weapons conveniently accessible, bottled water stockpiled, candle-making supplies assembled, etc.). But what if the people around you turn into flesh-eating monsters while you're wheeling your cart through the supermarket? When the dead start to rise, you'll need to fight your way out of whatever spot you're in so you can make it to your pre-determined zombie apocalypse rallying point. Below is a location-specific guide to finding survival weapons if the initial zombie outbreak occurs when you're away from your home. Read on to learn how to locate tools to sever the head and/or destroy the brain in common locations such as the gym, the grocery store, the library, and many more. One note: The recommended weapons here are only those available in areas open to the general public. For all I know, every bookstore is stocked with shotguns and bayonets in the back room. But since you can't be sure, you'll need to work with what you can see. OK, you people on treadmills: You're on your own. Your cardio skills should allow you to outrun any zombified pursuers. Those of us toiling in the weight room who are less fleet-of-foot, however, will need some weapons to survive. First, some things you can't use: Dumbbells. They're too small and therefore put your hand too close to the zombie's mouth when striking. Weight-lifting bars have great reach, but at 45 pounds, they're too heavy to actually swing over and over. The curved EZ bar is lighter at 15 pounds, but it'll still fatigue you if you swing it more than a few times. Your best option at the gym are the weighted exercise bars, if your gym has them. The 5-pound and 8-pound steel bars are long enough to swing, hard enough to hurt, and light enough to run with. These are tough locations. Books aren't known for their sharp edges (thankfully!) and stores full of them won't offer much protection. If you're at a Barnes and Noble-type store that features knick knacks along with novels, look for the bookends. They're heavy, although they do put your hand awfully close to zombie chompers. At the library, your best bet is probably the little step stools scattered around to help you reach the top shelves. They're metal, but they're light enough to swing, and they have good places to grip. Also, some libraries have signage posted to direct patrons to different parts of the library. I bet the base of the sign on the right could do some damage to a zombie skull. 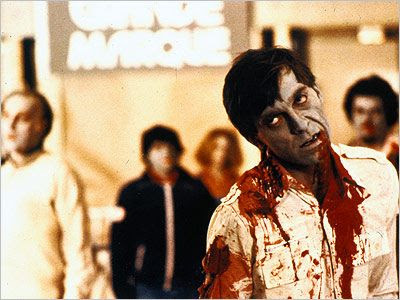 I suppose you could get a little bit of traction by tossing glass jars of marinara sauce at the heads of zombified shoppers, but that ultimately seems like a losing strategy. Unfortunately, most foodstuffs are packaged in cardboard boxes, plastic containers and flimsy jars. Get creative: looks at what's used to hang the food around you. I'm wondering if the metal prongs that products hang from could be forced through a skull with enough force to stop a zom. Could that work? Doubtful, but it's worth a try. Go for the eyes and aim up. One section to check out is the alcohol aisle. (Well, there are multiple reasons for doing that. You may need a stiff drink before you brain that nice clerk who's been ringing up your groceries for the last five years.) But consider wine bottles: They're made of thick glass, and they have a perfect swinging handle. I think they just might be your grocery store saviors. And may I make a very specific suggestion? Arbor Mist wines. Yes, the drink of choice for newly minted 21-year-old sorority girls seems to have the thickest glass bottles of all the wines in the booze aisle. Grab a Mango Strawberry Moscato and go nuts. Oof. This is another tough one. You generally want a theater that doesn't come with accessible weapons; otherwise, what keeps you from murdering teenagers who text during the movie? My first thought was to use the posts in the rope lines, but have you ever picked those puppies up? They are heavy. 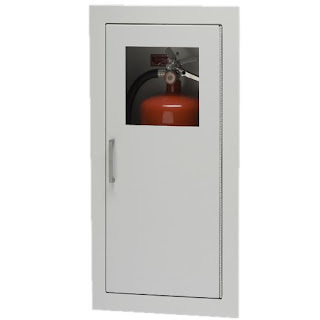 Your best bet is probably to break the glass and grab one of the fire extinguishers that sit outside of most of the individual screening rooms. They're made of metal and will give you a bit of length to your swing. Coffee mugs won't work very well as bludgeoning tools, so in this spot, your pickings are slim. I'm sure the baristas have a host of utensils at their disposal behind the scenes, but customers in the seating areas will have to make do with what's available, which is mostly chairs and tables. Perhaps you could bash apart one of the tall stools to use a leg as an improvised bat? I dunno ... things look bleak for you in a coffee shop zombie outbreak. I'll be honest, if the zombie uprising happens while you're here, you're probably toast. Because let's face it, whatever you grab to swing at a zombie's head will probably shatter on contact — although you'll look sleek and modern while swinging it. Think about the bar fights you've seen and/or been involved in. Did they involve weapons? If so, you can probably repurpose many of them for zombie-fighting techniques. Grab a bottle of hard liquor from behind the bar and bash some skulls, or swipe a pool cue and start swinging. I'm not sure how well either will puncture zombie heads, but it's probably your best bet. Also, you can always throw chairs. Yes: Cast iron skillets. Heavy but hella strong. Maybe: Knives are sharp, but they're carefully packaged so customers can't just wave them around in the store. Yes: Hedge clippers, shears, spades. Maybe: Sturdy folding chairs. They'd definitely increase your wingspan. Probably not: Shower curtain rods look deceptively strong but are often made of plastic. Yes: Really long, old-school metal knitting needles can be great stabbing implements. Yes: What's better than one puncture wound to the skull? Two puncture wounds to the skull! So tell me, dear readers, what weapons did I miss in these spots? And do you pass your time in the line at Starbucks by scoping out makeshift weapons should the need arise? We've always planned to head for CostCo. The racks of super-high shelves mean you can climb up and drop things on the zombies, which has always seemed to me a more-likely-to-succeed strategy (for me, at least) then hitting. Gravity can be our friend! I don't know, Sara - I wouldn't be so quick to rule out Ikea. You could distract said zombies by chucking solidly frozen elk meat lasagna at their heads from the frozen food shop while breaking into some flatpack Poang chairs for the long, wavy side components. Might be killer for clotheslining a few at a distance. Ben nearly impaled himself on the glass door to one of our Billy bookcases, as well, and there wasn't even a zombie threat at the time. I have a fierce, metal Ikea toilet brush holder that could leave a mark in an emergency, too. This guide is helpful! For surviving. Yes, that is what it is helpful for. Mmhmm. Aspiring necromancers would never consider using this as a "find the zombie bait" guide. Of course not! Nope. No way. Definitely not.